Ok, I am going to tell you all a story. No, I am not an author but this book has a little bit of special feeling for me. You can click on it and read the article. I teared up and thought "OMG! What did I do?". I love Lila, very much actually. She has because a dear friend and I could not figure what I did. Well, after I read the article and figured out the issue, I signed a breathe of relief! See when I reviewed Lila's book Hoax I stated her books were too short. I never meant for it to be rude or hurtful but Lila actually took my advice (*insert fan girl scream*) and How It Rolls is 252 pages!! YES!! Best part of the book: WOW! Just ... WOW! I have loved everyone of Lila's book. Emerge is my favorite, until this one. How It Rolls is a spin off of Love & Skate, this is actually Falcon's story. I loved Falcon because he is not what he seems. 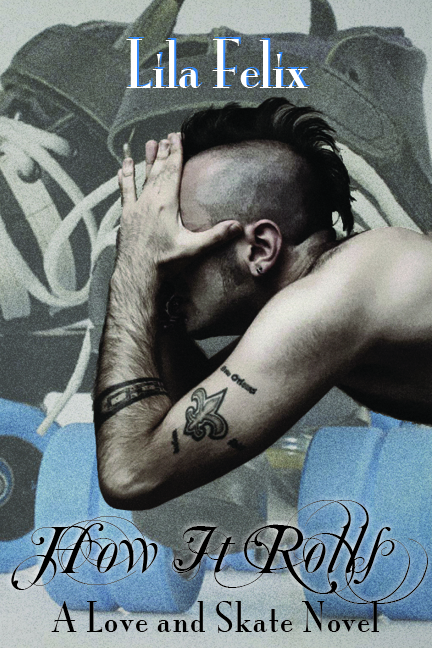 He has a mohawk, tattoos and piercings...bet you are thinking "rock band"...WRONG! He is in college and has a way with numbers and money! Faclon's path soon crosses with Reed. Oh Reed *sniff* I wanted to reach through my Kindle and just hug her. She has had such a tough life and Falcon cannot seem to get enough of her. Along with their story we get an extended story of Nellie and Owen. Of course, Lila through in some twist that made me *gasp* *cry* and *yell* and I loved every word. Not so great about the book: Ugh, the ending! I wanted more! I could not get enough of this story! Luckily, Lila is doing another spin off for Maddox's story and I hoping that there is more Falcon and Reed in it. AND since this one was 252 pages, maybe I could get 275 or even 300! WIN a SIGNED Beautiful Creatures poster!